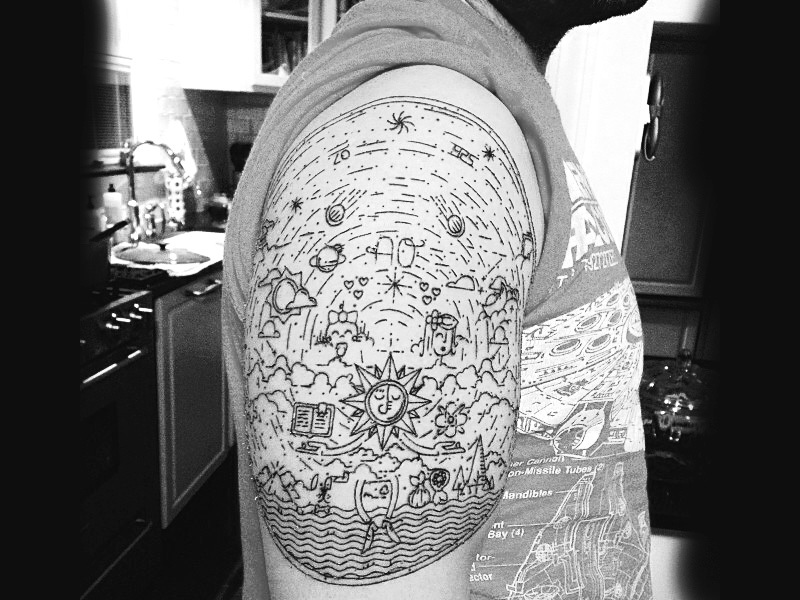 Seb wanted to create a vision of the universe he's created around him from some of his choice favorites, to heritage, family, and beliefs. The more of these tattoos I take the proper time to concentrate on and work through, the more amazing people I meet. I got the wonderful chance to create a piece for Sebastian. Someone that really warmed my heart every time we chatted about the project. Seb wanted to create a vision of the universe he's created around him from some of his choice favorites, to heritage, family, and beliefs. These projects can either be cripplingly open without direction, or can be liberating and freeing. This, like anything I choose to work on was extremely liberating and fun to collaborate with Seb on. Thanks for letting me be a part of this moment.